Health Coaches help people become healthier and happier in all areas of their lives. Health Coaches address all the facets of health in addition to eating - relationships, exercise, career, and spirituality. They’re mentors who work with clients to achieve their wellness goals. Video of What is a Health Coach? Integrative Nutrition empowers you to launch an exciting new career and build a life you love. Discover over 100 different dietary theories and learn from the world’s top nutrition experts. The one-year course is 100% online, giving you the flexibility to study from your computer, smartphone, or tablet when it's convenient for you. IICT is a peak professional body for the natural health industry, providing discounted practitioner insurance for all natural therapy modalities. With over 7,000 members in 12 countries including Australia, New Zealand, USA, Canada, the UK, and Ireland, IICT is leading the way in membership for the natural therapies industry. We’re not just a school; we’re a movement! Our community is working to reverse the health crisis. Join ~100,000 students and graduates in over 100 countries around the world who are creating a health revolution. Video of Chef Pete Evans on Why Integrative Nutrition Health Coaches are the Future! Chef Pete Evans on Why Integrative Nutrition Health Coaches are the Future! 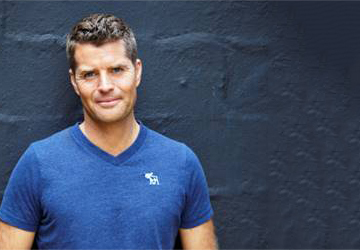 Chef Pete Evans has changed his life and career since graduating from Integrative Nutrition. Hear why he thinks Health Coaching is such a game changer for the health industry! IIN graduate Evans raises heat over Paleo diet. Integrative Nutrition's key concept of Bio-individuality: The new and simpler health philosophy. Reporter Mike Willesee road tests the Paleo diet with IIN graduate Pete Evans.